Iran’s education minister says a committee has been set up to spot and remove the educational problems of Sunni pupils in the country. 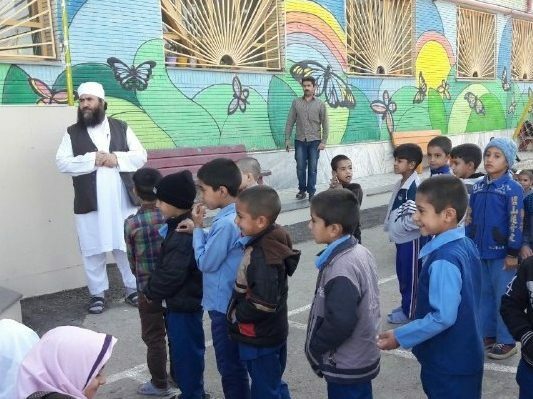 Iran’s Education Minister Mohammad Bat’haee says a working group set up a month ago is assessing the educational problems facing Sunni students in the country. “Sunni academics have also been invited to join the working group to be present there as active members,” the minister added, according to a Farsi report by IRNA. “Now, the working group is detecting problems in the four areas of human resources, the physical location, educational programs and intellectual development programs,” he added. The committee seeks to spot and settle the issues in Sunnis’ school books and general school books which might deride Sunnis’ beliefs and teachings and could cause ethnic and local problems. “The working group also does planning to train manpower to teach at schools where Sunni students study, so that we will be able to provide better conditions for Sunni students and remove the hurdles which cause tension or the feeling [among them] that they are being discriminated against,” the minister noted. He expressed hope that with the working group making serious efforts and by drawing on previous findings, the ministry will be able to finish the job of detecting the problems and begin working out proper solutions to improve conditions for Sunni students’ education.